Kia Imagine Concept: Imagining the future of electric cars. Kia Motors is South Korea's automotive manufacturer since 1944. The company is known for its new design concepts. 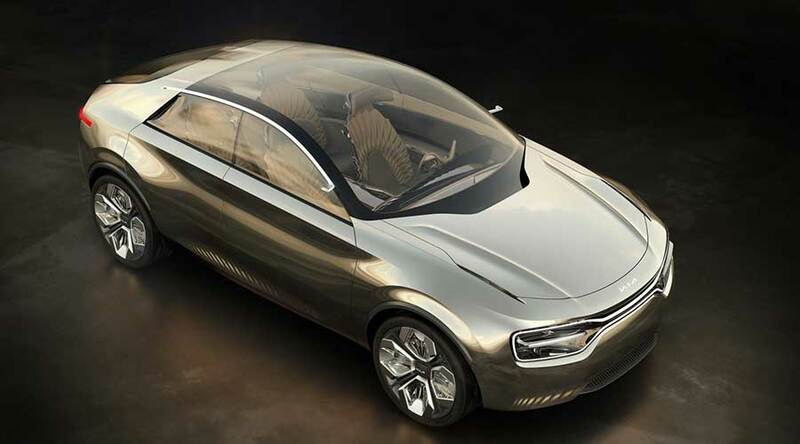 Kia recently unveiled its revolutionizing concept in electric cars the Kia Imagine concept. 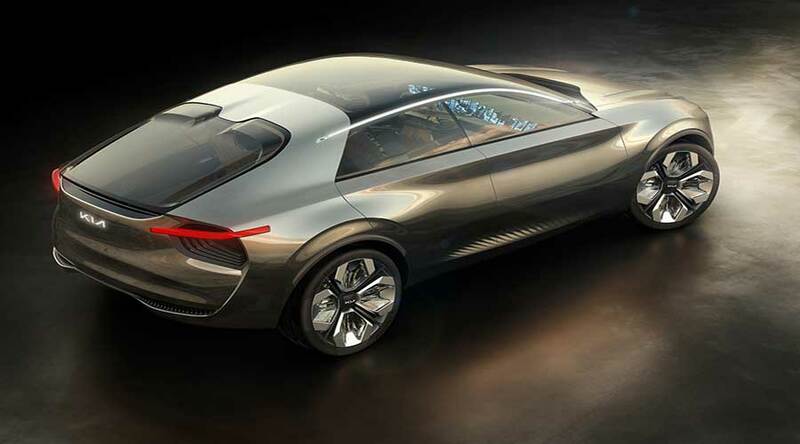 The company unveiled the Kia Imagine concept in 2019 at Geneva International motor show. The Kia surprised everyone with all new design and its really a different car design than what we see today in the electric car concepts. The Kia Imagine is a new concept car that satisfies all the basic consumer concerns like range, battery life, and reliability. In addition, Kia went further with its striking head-turner design. 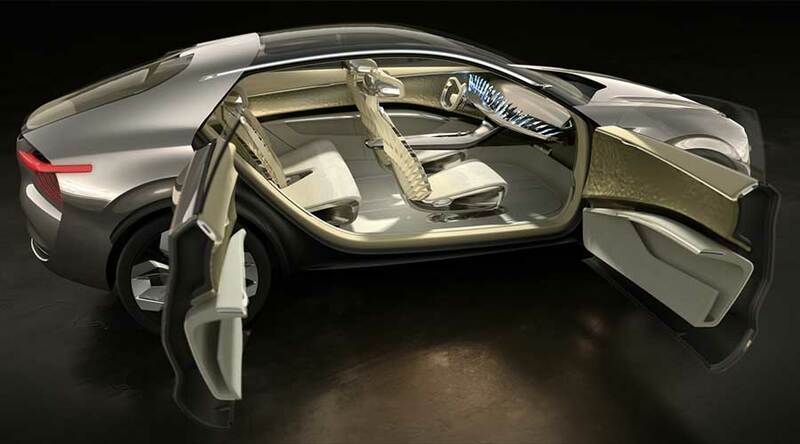 The Kia's design language in case of the Imagine concept is totally human-centric. The company is very keen on delivering the same design standards as it does for normal cars. The approach in design is more oriented towards forming an emotional connection with the consumer. The design of the Imagine is more like an SUV. The higher ground clearance with the sports-orientated design is really striking in today's era. The glass windshield and roof are combined. As a result, the seamless glass gives unbelievable viewability from inside. At the front, Kia's signature tiger-nose grille marks its presence with a tiger mask around the LED Headlamps. The Kia imagine concept is the four-door passenger car. Its architecture is new and comprises of the low mounted battery pack with induction charging. The new architecture is different than what we see in the Kia Nero EV. Basically, Nero EV is entirely based on Hybrid Nero platform. The Interiors of the car are more striking with never-seen-before 21 screen display on the dashboard. However, the screens are functional and create a unified single display from the driver's point of view. It also show number of important parameters. The new power-train design increases the cabin space drastically. In addition, it also creates new storage spaces to carry cargo with you. The rear doors are hinged towards the rear, creating a big welcoming space when both the doors are open. It also takes accessibility to the next level. Kia has power to surprise everyone. Our design language for electrification is more focused on human-emotional connect rather than traditional parameters. Gregory Guillaume, Vice President Design, Kia Motors Europe. The lighting system plays a key role in accessibility and consumer friendliness. Kia shows friendly gesture to the driver by illuminating KIA script at the front and illumination of the tiger mask as the driver approaches the car. The turn signals are at the top in the bonnet. The lights at the back also compl with the back. In addition, the brake lights create visual connect with Kia stinger. Furthermore, the wheels also contribute to visual appeal by reflecting and refracting the light. It is possible due to transparent acrylic glass inserts. It creates movement of light and its visually really appealing. Aerodynamics is the key part of the electric vehicle design. The Kia Imagine concept also focuses on aerodynamics. The aerodynamics of the car are critical to reduce the aerodynamic drag and increase the range of the car. Furthermore, the C-pillar acting as air spoiler, front air curtain, the double skin bonnet channeling air over the roof and completely enclosed underbody makes air flow seamless, reducing the drag and increasing the aerodynamic efficiency. In conclusion, Kia Imagine concept not only addresses the consumer concerns like range, performance, and charging network but also finds emotional connect with the consumer. So, we feel the future of electric cars is really exciting. Will ‘Porsche Mission E First’ take on Henrik Fisker & Tesla?